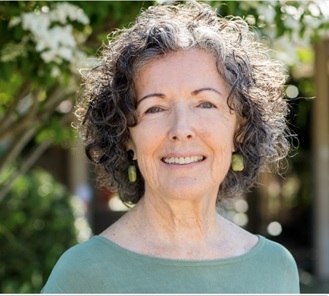 The Petaluma Women in Business (WIB) breakfast on Wednesday, March 13, 7:30 – 9 am at the Palms Grill, 100 S. McDowell Blvd., features accomplished local entrepreneur Carolyn Pistone as speaker. Carolyn is the President and Managing Director of Clear Blue Commercial. Carolyn is an accomplished Senior Executive, C-Suite Officer, Consultant, Entrepreneur, Thought Leader, and Board Member with over 25 years of success across commercial real estate, film entertainment, and digital imaging. Leveraging extensive experience in operations management and sustainability, she is a valuable resource for >$5M green technology and other companies looking for gender equity, sustainability, community or social responsibility. Her broad areas of expertise include leadership, business strategy, executive coaching, organizational development, change management, operations management, investors and investments, location intelligence, and land acquisition. This popular monthly event includes opportunities for networking and a no-host breakfast. It is open to all interested participants. For more information contact the Petaluma Area Chamber of Commerce at (707) 762-2785 or pacc@petalumachamber.com.